Lee: Hi Jennifer! Pitch us! Jennifer: Oh man, pitch pressure! Here goes: For some the Facility is a haven, while for others, like new recruit Celia Walker, it is a place that stirs up more concern than comfort. Disoriented and covered in blood, Celia arrives to learn of the sudden death of her parents. Not only that, but Celia’s a ‘have’ -- someone with supernatural abilities. Other recruits, and burgeoning friends, Fariza and Drew encourage Celia to appreciate what those at the Facility offer and the peace the campus provides in allowing them to forget their painful pasts and move forward. But soon Celia finds out that there’s much more brewing than just training to defend themselves and taking classes. The peace of the Facility becomes overshadowed by extremes. And what Celia uncovers is a war brewing between those with abilities and those without. The line between "good" and "evil" is not always distinct, and The Facility reflects that with characters whose good intentions result in bad outcomes and others who have strong motives behind ulterior ones. Not only does The Facility give center stage to ethnic groups that are underrepresented in primary roles in literature but it reflects the decline of a contemporary civilization, not by putting readers in the aftermath of a larger dissension but by revealing the breakdown of a nation and how people come to question everything they’ve ever known. Lee: Can you share about your journey so far in children's literature? Jennifer: It’s been a learning process. Writing always is. I don’t think I found or fully realized my true narrative voice until 2009 when I started applying to artist residencies. Even though I’ve been writing since I was a kid, it didn’t mean I knew how to tell a story. And in writing lots of short stories and finishing The Facility—as well as a bunch of bad poetry we will not speak of—I've become much more comfortable with the whole process, or really my process, and more assured in my voice as well as the story I want to tell and the characters I want to represent. Something else that’s been a learning experience is the market and knowing where you fit in. I write very character-driven pieces, especially in my short fiction, that may not be plot heavy so in writing YA I’ve realized how much more action could be woven in so that it’s not always internal crisis but internal and external that weighs on the characters and the reader. I hesitated writing The Facility for years because I didn’t know if I could write an action-oriented book. With feedback and encouragement from my wonderful critique partners, and also reading a lot of good literature available for young adults and adults, I gained confidence that the story wasn’t all about the action but about the characters as well -- it's a balancing act, really. For me, if I don’t care about the people in the book I’m reading, I’m not as likely to follow them on their journey, whatever it may be. Lee: Wise words. What are your hopes/plans for the 43rd Annual SCBWI Summer Conference? 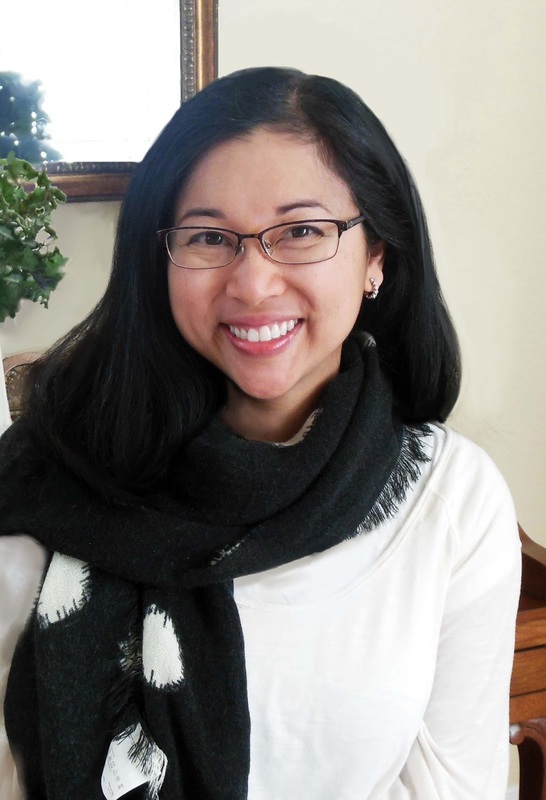 Jennifer: First off, I’m excited to meet fellow Emerging Voices winner Tiemdow “Dow” Phumiruk. She and I have been corresponding since we heard the news. I’m a big fan of her illustrations. They’re so realistic and colorful. I’ve been wanting to go to the L.A. conference for a few years but hesitated since I didn’t have a finished manuscript, so the opportunity to attend now is great. Conferences like this serve as a kind of recharging mechanism when you feel like your work may not be as good as you thought or perhaps no one is as into books because the market is not doing as well as it had before. All those outside voices, factors, and stressors that may deter you from pursuing your creative streak are squashed in environments like the SCBWI conference, so any time I can be around other artists I become a much more enlightened individual. So my main plan is to meet other artists, writers and illustrators alike, and gain insight on their experiences and what keeps them motivated, while also hearing from agents and editors on trends and what they’re looking for. With the Emerging Voices grant I’m really looking forward to talking with and absorbing as much information about drive and persistence and the industry as I can as I draft my next novel and try to find a home for The Facility. You can find out more about Jennifer at her website here. This TEDxMidAtlantic talk by Sam is pretty inspiring, and a great reminder - for our characters and for our own lives - of how the things we share on the inside are more powerful than our external differences. Sam recently passed away, and it's a meaningful legacy he's left for us. 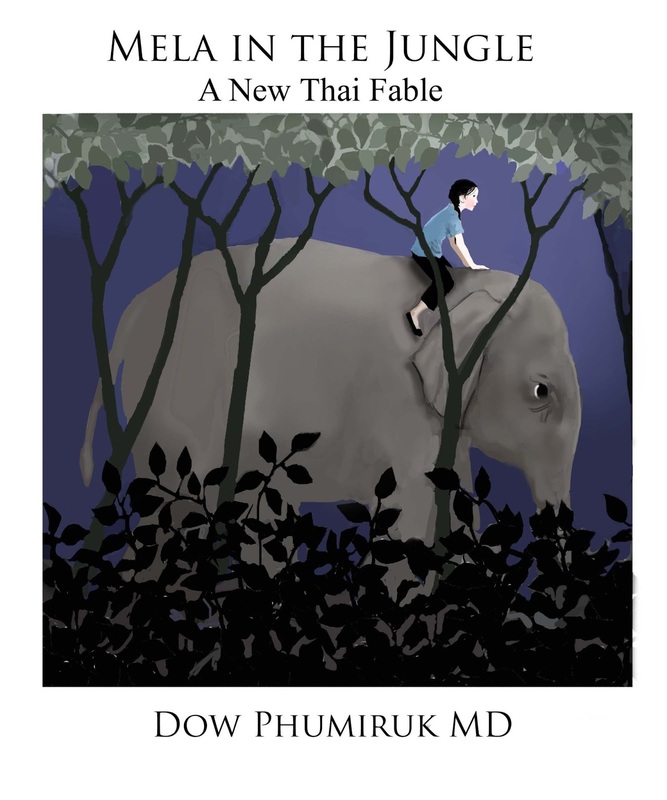 Dow: My picture book Mela in the Jungle is a new Thai fable set near a river village in Southeast Asia. Young Mela finds herself lost in the jungle, and she needs help to get home. She meets different animals and asks for help, but only the one with the kindest heart saves her. It is a simple story with a lesson about kindness that families with young children can enjoy together. The artwork will mimic a traditional hand drawn style with a slightly modern blue-green palette. It is sure to warm your heart in less than 500 words! An optional author's note (not included in the word count) gives background information about the Ping River in northern Thailand. It talks a little about the climate and populations of Southeast Asia, as well as some common traditions (such as how gratitude is expressed with a spoken "thank you" while putting hands together as in prayer). Dow: My roundabout journey in children’s literature has made me feel whole, and I love to tell people how I’ve found my way here (and solved my identity crisis in the process). I came to America at a very young age. I grew up immersed in two very different cultures, and at times it was challenging to find my place in either world. Our country has made great progress in cultural awareness over the past few decades, but there is much more to do. I’d love for children of all backgrounds to grow up knowing that they belong, no matter how different they feel they are. As a child, I enjoyed art and creativity immensely. I wrote and illustrated my own books, cartoons, and short stories. Two things took me away from this. First, my parents strongly influenced me to choose a practical career path – after all, my mother came to the United States in 1971 with only a coin in her pocket and few belongings. She was one of many nurses welcomed to America to alleviate that era’s nursing shortage. My mother wanted so much for me to become a financially independent adult and leader. Secondly, I had an artistically gifted older cousin, and I thought my work could never compare to hers! I lacked the confidence to embrace the arts while making my way through young adulthood. These two early factors began shaping my eventual decision to become a doctor, and I chose the field of pediatrics. In 2003, when I spent time as a stay-at-home mother, I found the opportunity to play with art again. It wasn’t long before I realized that creating books for children was a serious passion. Though I returned to work part time, I knew I could never leave this huge part of me behind again. By 2011, I knew I needed to join SCBWI. My learning has been exponential since I did. Not only has SCBWI helped me grow as an author/illustrator and develop my style, but it has completed me as a person through new friendships in a community of like-minded, like-hearted people. My critique group, started by fellow RMC-SCBWI member Tia Christine, has been invaluable to me. The guest artists at our local conferences have given me the majority of my art education. Also, I’ve entered many SCBWI contests (my favorite part of membership!) and have seen myself grow by pushing to a new level with each entry. So I sound like a paid advertisement now, don’t I? Well, it is all because I am truly grateful to SCBWI for this journey, for helping me find out who I really am. As a winner of this year's On-The-Verge Emerging Voices Award, Dow will get an all-expense paid trip and free tuition to the 2014 SCBWI Summer Conference in Los Angeles, August 1-4. That's where her award will be presented and she'll receive a manuscript consultation with an industry professional, an additional meeting with an industry professional, and tuition to the Summer Conference Writers or Illustrators Intensive. Lee: What are your hopes/plans for this summer's conference? Dow: As for the exciting matter of attending the LA SCBWI Summer Conference: I can’t wait to be there!! I am so happy to share my work and meet new friends in the field. Of course, I would love to connect with an industry professional who sees value in my work, and every conference is more exposure towards that goal. It is my dream to be published traditionally one day, so that my stories can help children see the strength that lies in our diversity. I plan to promote my current book projects and my illustrations in general. But mostly, I intend to enjoy basking in the light and vibrance of over a thousand creative souls! It’s where I belong. The SCBWI Winter Conference Is Coming Up February 22 & 23, 2014! While the Friday intensives are sold out, you still have a chance to attend the Saturday (Feb 22) and Sunday (Feb 23) of SCBWI's giant international winter conference in New York City. We'll hear keynotes from Sharon Draper, Elizabeth Wein, Kate Messner and Jack Gantos! The Art of the Picture Book, with illustrators Peter Brown, Raul Colon, Marla Frazee, Oliver Jeffers and Shadra Strickland, moderated by publisher Arthur A. Levine. Developing Your Illustration Style/Brand - Holly McGhee, President and Founder, Pippin Properties, Inc. Writing in Verse - Jane Yolen, Author of over 300 books for young readers. The faculty are stellar - the information you'll get is essential - and the opportunity to move your career forward is remarkable! The breakout workshops are filling up fast - to find out more and register, visit the conference page here. Make sure to bookmark The Official SCBWI Conference Blog for all the pre-conference interviews and the live blogging from the conference floor. Kate DiCamillo has been named the next National Ambassador To Young People's Literature! Kate is the author of "Because of Winn-Dixie," the recent "Flora and Ulysses," and Newbery Award-winning "Tale of Despereaux." "I feel so fortunate to have ended up where I have ended up, as somebody who gets to tell stories for a living. But I didn't start writing until I was almost 30 years old. And I didn't get published until I was 36 or 37. So -- but it was something that I always knew that I wanted to do. And I finally sat down and started trying to do it. So, hey, let's hear it for all the late bloomers and for dreams coming true, right?" 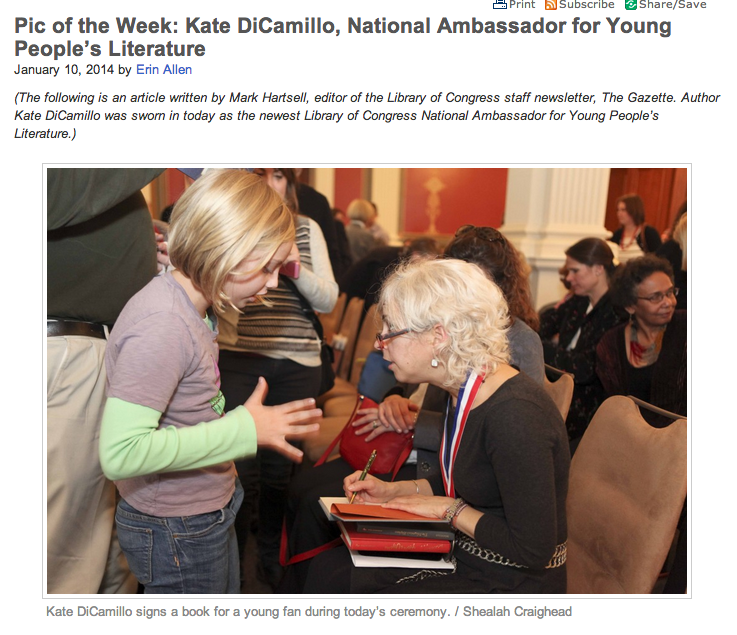 ps- you can read some great quotes from Kate's swearing-in ceremony at the Library of Congress here. 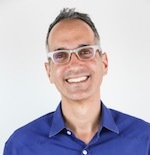 As reported in Publishers Marketplace this week, Nielsen president Jonathan Nowell and director Jo Henry presented statistics on the commercial marketplace for children's books at the third-annual "Launch Kids" conference. Their data was from Nielsen Bookscan (point-of-sale data from physical and online bookstores) and Bowker surveys (Nielsen bought Bowker recently) of over 6,000 book buyers and a separate survey focused on children's books of about 3,000 people. 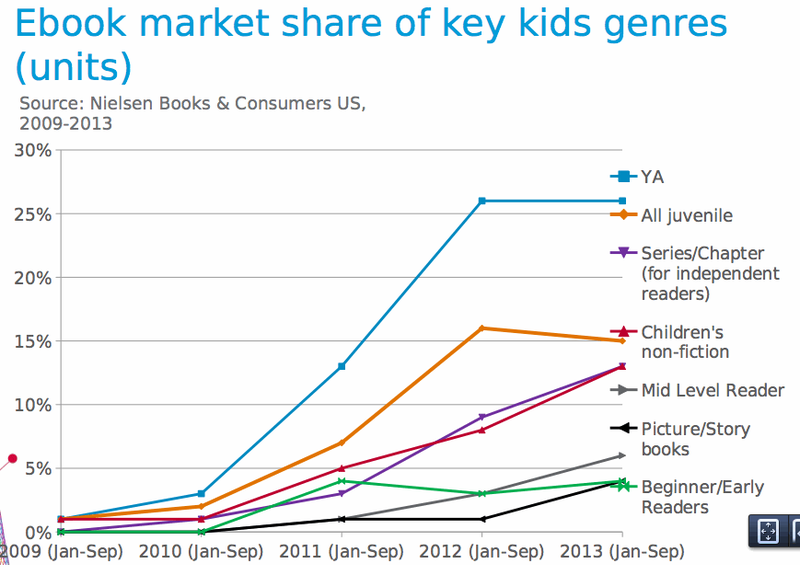 "children's books now comprise 34 percent of the print market as measured by Nielsen Bookscan -- up from 30% in 2011." "physical stores have retained their importance as a place to purchase children's books, still accounting for 62 percent of non-YA children's book sales (in units)." 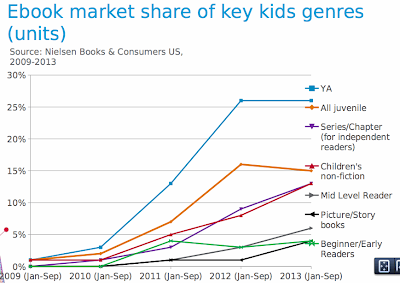 ebooks comprised "about 15 percent of all children's sales over the past two years." "half of teens still have a strong or general preference for print"
the number of teens who say they do not read for fun increased sharply in 2013. In quarterly 2012 surveys that number was around 20 percent, but in spring 2013 it was 30 percent and in fall 2013 it jumped to 41 percent. 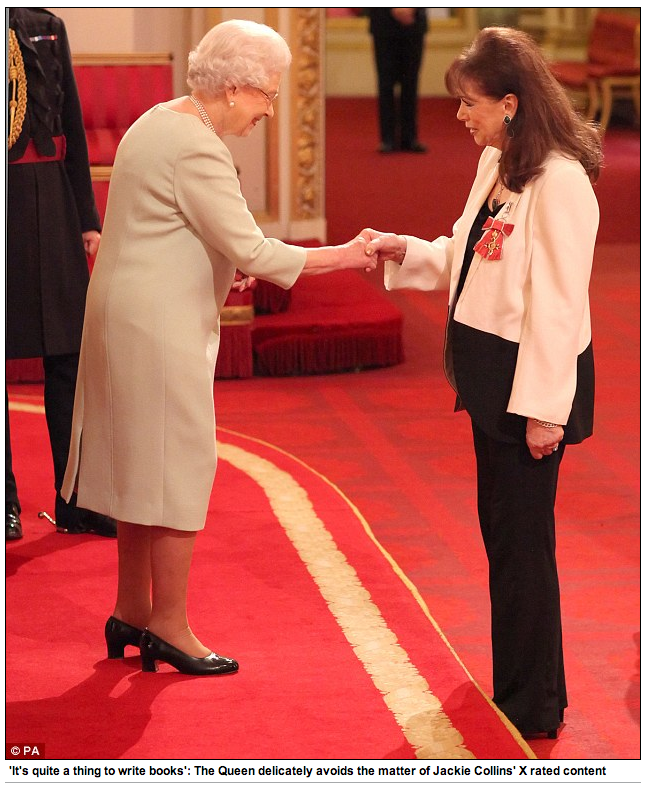 "I can correlate this research with similar work we did in the UK," Nowell said. "I find this the most astonishing statistic; if it was not true in both territories, I would question it." "Anything worth doing is worth failing at." You can find out more about Alex and his novels for teens here. "It's quite a thing to write books." 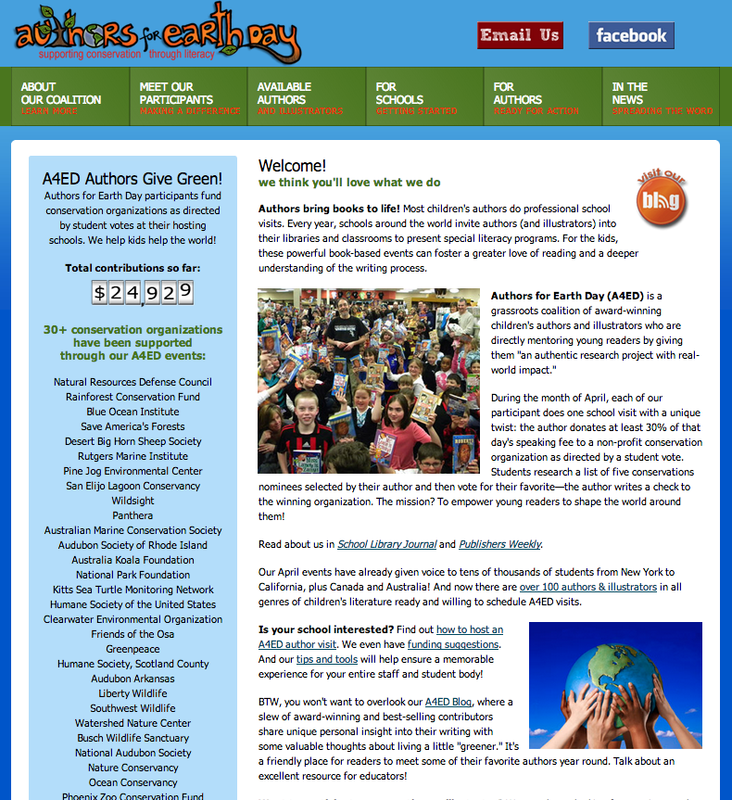 Authors For Earth Day: Supporting Conservation Through Literacy - Founder Brooke Bessesen Explains How You Can Get Involved! Calling all PAL members who do school visits! We are building a community of colleagues to help kids care for the environment and—WE WANT YOU! Please join us! Just designate one of your April school visits as an A4ED event. We will give you all the resources to forward to the school. You pick your favorite five organizations for the students to research as “nominees” and on the day of your visit, you do your normal presentations while teachers oversee a vote. Then, in celebration of voice, you donate at least 30 percent of that day’s speaking fee to the winning organization. Just imagine the impact for the kids! They really get into it—and you will too! And since the school pays you in the normal fashion and you handle the donation, you get the tax-credit. Once you have scheduled an April school visit, we will build you a gorgeous Participant Page to share details about your books, author visits and A4ED events. 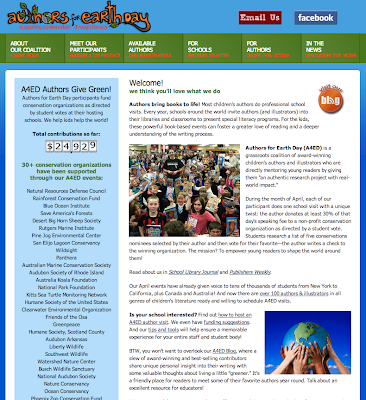 Our website (www.AuthorsForEarthDay.org) also provides lots of resources for schools, including author visit funding ideas and common core connections. Curious to see who else is involved? Come meet our team—you’ll recognize many acclaimed SCBWI friends and colleagues—and then become part of our grassroots movement to inspire and empower kids to speak up for our blue planet!